Welcome to our SEN information report which is part of the Norfolk Local Offer for learners with Special Educational Needs (SEN). The Norfolk Local Offer outlines the provision available in our area across education, health and social care for children with SEN.
All governing bodies of maintained schools and maintained nursery schools have a legal duty to publish information on their website about the implementation of the governing body’s policy for pupils with SEN. The information published must be updated annually. The required information is set out in the SEN regulations which can be found here. Bure Valley Junior School is a mainstream 7-11 junior school which admits pupils to the school in line with the school’s admissions policy. The school believes that all children and young people are entitled to an education that enables them to achieve their potential. The school has a strong commitment to working in partnership with pupils, parents, carers, governors, our cluster schools and the local community. Together we afford our pupils the opportunity to make progress in all areas and fulfil their potential and expectations. This report has been produced with involvement from these stakeholders. 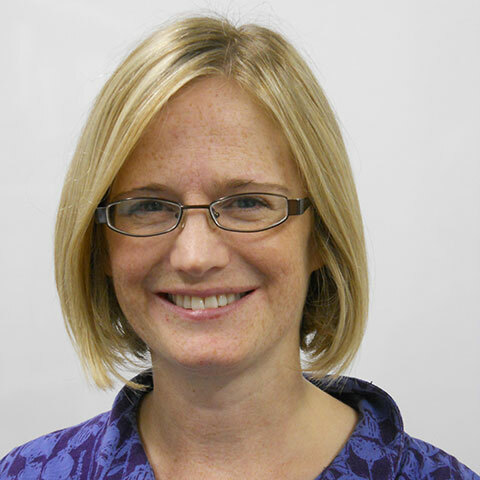 If you think your child may have SEN please speak to their class teacher in the first instance or contact Ruth Abramson, our SENCo, on 01263 733393. At Bure Valley School we value learning for all. We want all adults and children to participate in learning and we celebrate all members of our community. We want to create an inclusive culture in our school and we aim to be more responsive to the diversity of children’s backgrounds, interests, experience, knowledge and skills. Our School Improvement and Development Plan is about developing learning for all and details our planned continued professional development (CPD) opportunities for all staff. We have highly trained staff across the cluster who are accessible to support our school for pupils with specific need, if appropriate. Bure Valley School is part of the Aylsham Cluster Trust. Schools in the Aylsham Cluster have been working together to transform education for children and families in the Aylsham area. SENDCOs meet at least once per term to discuss the needs of the children and young people with SEND in the cluster and work collaboratively to support their needs. Learners can fall behind in schools for lots of reasons. They may have been absent from school, they may have attended lots of different schools and not had a consistent opportunity to learn. They may not speak English very well or at all, they may be worried about different things that distract them from their learning. At Bure Valley School we are committed to ensuring that all learners have access to learning opportunities, and for those that are at risk of not learning, we will intervene. This does not mean that all vulnerable learners have SEN. Only those with a learning difficulty that requires special educational provision will be identified as having SEN.
Our SEN profile for 2018-2019 shows that we have 15% of children identified as having SEN. 1% of those have an Education Health and Care Plan and 14% require in-school SEN support. The purpose of identification is to work out what action the school needs to take, rather than fitting a pupil in to a category. In practice, individual children often have needs that cut across all areas and their needs may change with time. Class Teachers, support staff, parent/carers and the learner themselves will be the first to notice a difficulty with learning. At Bure Valley School we ensure that assessment of educational needs, directly involves the learner, their parent/carer and of course their Teacher. 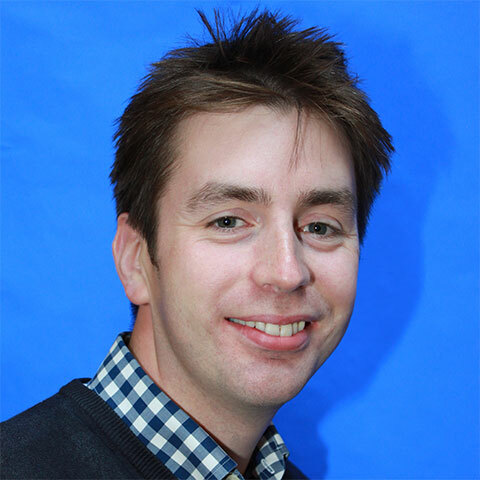 The Special Educational Needs Co-ordinator (SENCo) will also support with the identification of barriers to learning. In school we use the New Salford Reading Test and Single Word Spelling Test as a baseline and to establish the impact of a number of intervention programmes. We also have a range of assessment tools available within the cluster, including the Sandwell Diagnostic Maths Test, which we can use to identify a specific need. Every year in September, we use ‘Cognitive Abilities Tests’ (CATs) in Year 3. These assess different areas of learning such as ‘verbal and ‘non-verbal reasoning’ and provide teachers with a greater understanding of children’s individual and specific needs. For some learners we may want to seek advice from specialist teams. In our school and cluster we have access to various specialist services. We have access to services universally provided by Norfolk County Council, which are described on their local offer website. We also employ 10 FTE Teaching Assistants, who support pupils and deliver the interventions in the provision map as coordinated by our SENCo. 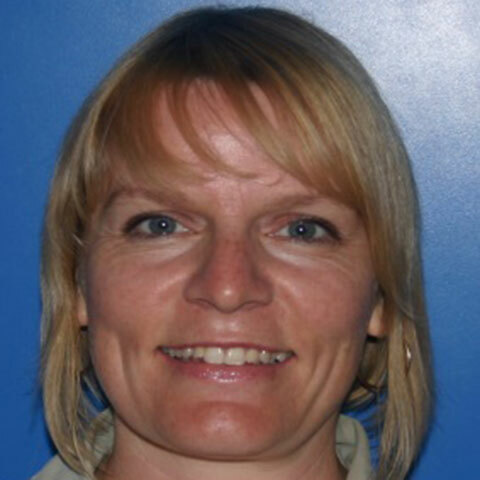 Our team has highly qualified staff with a broad range of experiences and qualifications. The SENCo holds the National Award for SEN Co-ordination and has considerable experience in the field of SEN.
Every Teacher is required to adapt the curriculum to ensure access to learning for all children in their class. The Teacher Standards 2012 detail the expectations on all teachers, and we at Bure Valley are proud of our Teachers and their developments. Each learner identified as having SEN is entitled to support that is ‘additional to or different from’ a normal differentiated curriculum. The type of support is dependent on the individual learning needs, and is intended to enable access to learning and overcome the barrier to learning identified. 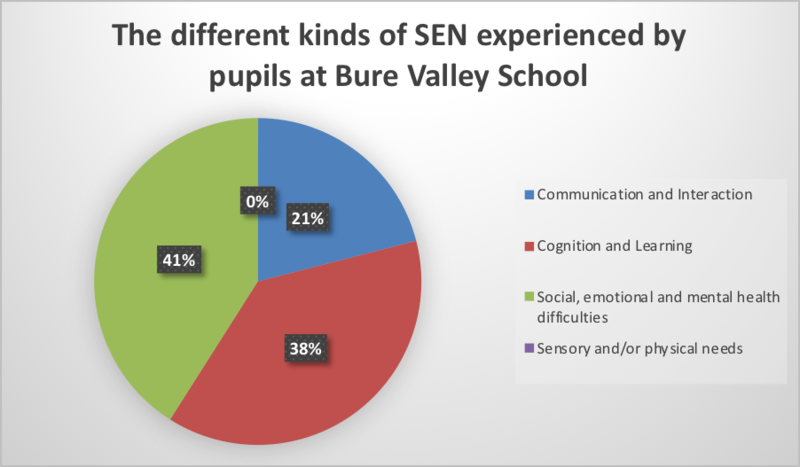 The support is described on a provision map, which although does not detail the individual learner names, describes the interventions and actions that we undertake at Bure Valley School to support learners with SEN across the year groups. We modify the provision map regularly, and it changes every year, as our learners and their needs change. At Bure Valley School we share the provision map with our colleagues in the Aylsham Cluster so we can learn from each other and demonstrate what we offer for learners with SEN. We are also able to promote consistent practice across all the schools in our cluster ensuring equality of opportunity. Our provision map is shared with Governors who are able to ensure that we monitor the impact of these interventions on learning across the school.  Bure Valley School receives funding directly to the school from the Local Authority to support the needs of the learners with SEN. This is described in the SEN memorandum. The amount of funding we received for 2018-19 is £62,502. From September 2018, we will also be able to request ‘top-up’ funding direct from the local authority. This money is not guaranteed and is allocated according to need. The School recognises that high-quality training is vital for all staff. In 2018-2019 there is a guaranteed termly staff meeting devoted to SEN. Issues relating to SEN are discussed and shared in weekly meetings as necessary, for example, the introduction of new documents and any proposed changes to practice. During 2018-2019, Aylsham Cluster Trust have arranged a programme of training for all staff related to a range of special educational needs. 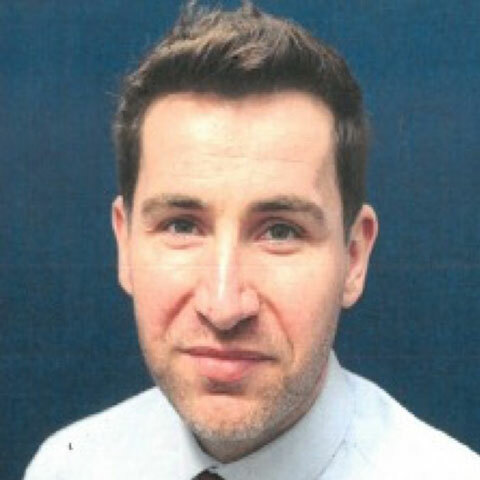 Monitoring children’s progress is an integral part of teaching and leadership within Bure Valley School. Parents/carers, pupils and staff are involved in reviewing the impact of interventions for learners with SEN. We follow the ‘assess, plans, do, review, model and aim to involve parents/carers and children in each step. When additional provision is selected to help a child, the SENCo, Teacher, parent/carer and learner, agree what they expect to be different following this intervention. A baseline will also be recorded, which can be used to compare the impact of the provision. Children, Parents/carers and their Teaching and Support Staff will be directly involved in reviewing progress. This review can be built in to the intervention itself or can be a formal meeting held regularly, where we can all discuss progress and next steps. If a learner has an Education Health and Care Plan (EHC Plan) the same review conversations take place, but the EHC plan will also be formally reviewed annually. 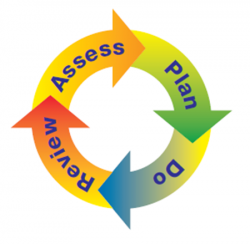 The ‘assess, plan, do, review’ cycle is also incorporated in our use of Pupil Passports and IEPs. All children on the SEND register have a ‘Pupil Passport’. This is a document that the class teacher creates with a child and their parent/carer. The passport records features of the child’s learning such as aspects that they enjoy or find difficult, as well as the support that they feel is effective. For example: specific resources or specifically-worded instructions. It also details any additional intervention provided. The passport is reviewed and updated at least twice a year. Some children also have an ‘Individual Education Plan’ (IEP). This identifies 2 or 3 realistic targets. They are measureable and achievable. Targets are reviewed termly and replaced with new targets if they have been achieved. Teachers and year group TAs will discuss targets at weekly meetings. IEPs are shared with parents/carers on a regular basis. The SENCo collates the impact data of interventions, to ensure that we are only using interventions that work. Intervention data is shared with the Aylsham Cluster so all SENCos in our cluster are able to select high quality provision. The SEND Hosts collate impact data on behalf of the cluster, showing effective distribution and allocation of Cluster SEND funding. Progress data of all learners is collated by the whole school and monitored by Teachers, Senior Leaders and Governors. We are also take part in external moderation, as part of the Aylsham Cluster and as a local authority. This ensures that our judgements stand up to scrutiny. Our school and cluster data is also monitored by the Local Authority and Ofsted. All learners should have the same opportunity to access extra-curricular activities. At Bure Valley School in 2018-19 we are offering a range of additional clubs and activities. These can be found in school newsletters or on the website. This definition of disability in the Equality Act includes children with long term health conditions such as Asthma, Diabetes, Epilepsy and Cancer. 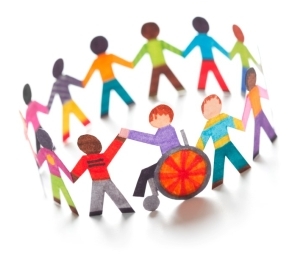 Children and young people with such conditions do not necessarily have SEN, but there is a significant overlap between disabled children and young people and those with SEN. Children and young people may therefore be covered by both SEN and disability legislation. For more information about the Equality Act, the protected characteristics or duties on public bodies, please see the school website for our Single Equality Scheme. Transition is a part of life for all learners. This can be transitions to a new class in school, having a new teacher, or moving on to another school, training provider or moving in to employment. Bure Valley School is committed to working in partnership with children, families and other providers to ensure positive transitions occur. Planning for transition is a part of our provision for all learners with SEN. Moving classes will be discussed with you and your child during the summer term. Transition to secondary schools will be discussed in the summer term of their Year 5, to ensure time for planning and preparation. During Year 6, there are a number of opportunities for all children to visit the high school, including 3 full days in early July. If required, additional visits can be arranged, prior to the 3 day transition. These visits can be on an individual basis (with a member of BVS staff) or as a small group. Key members of staff from Aylsham High School, including the SENCo, visit Bure Valley School in the summer term. They work with individuals/groups of children and meet with Year 6 teachers, who pass on information relating to children’s specific needs. Bure Valley School is a part of the Aylsham Learning Federation. We can shape and develop provision for all of our learners ensuring achievement for all. This SEN report declares our annual offer to learners with SEN but to be effective it needs the views of all parents/carers, learners, governors and staff. So please engage with our annual process to ‘assess plan, do and review’ provision for SEN.
As a school we work hard to be in effective communication with students and parents/carers, and to listen and respond positively to any concerns brought to our attention. We are committed to taking all concerns seriously and would like to think that, through being open and accessible, concerns can be both raised and dealt with relatively calmly and quickly. If the situation arises where parents have a concern about the provision being made for their child or the impact on that provision and feel that the SENCo has been unable to reassure them that needs are being met effectively, then the school’s Complaint Procedure – which is available on our website or by request, sets out clearly what the steps are to draw these concerns to the school’s attention.